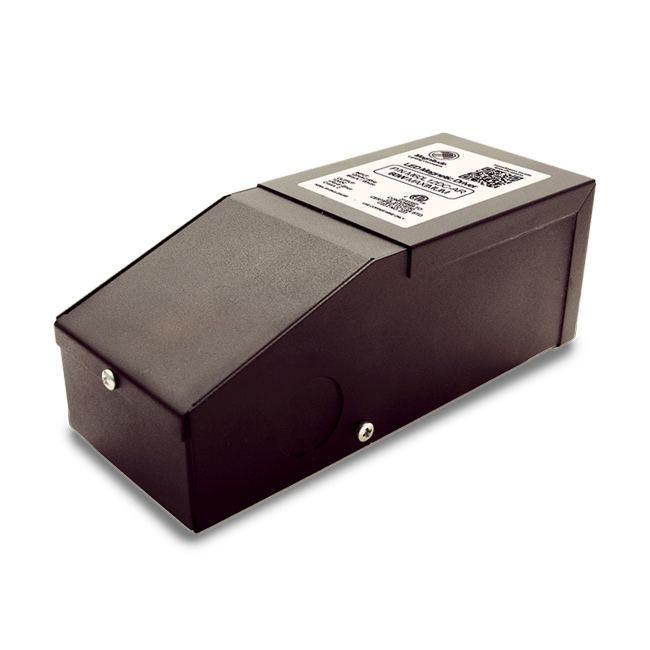 40W 12VAC Magnetic Lighting Transformer: Magnitude’s M40L12-AR is the most compact lighting transformer on the market with a magnetic transformer core. 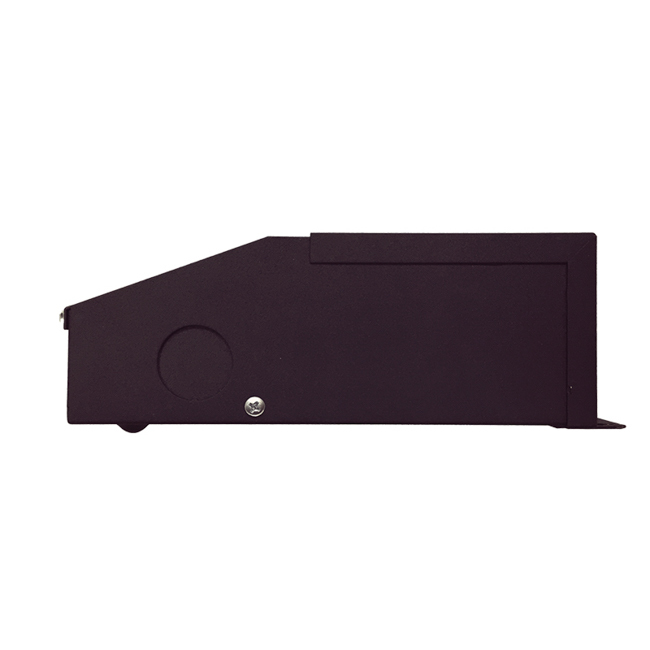 It is equipped with two auto-reset breakers, one on the input and one on the output, which protect both the load and transformer. 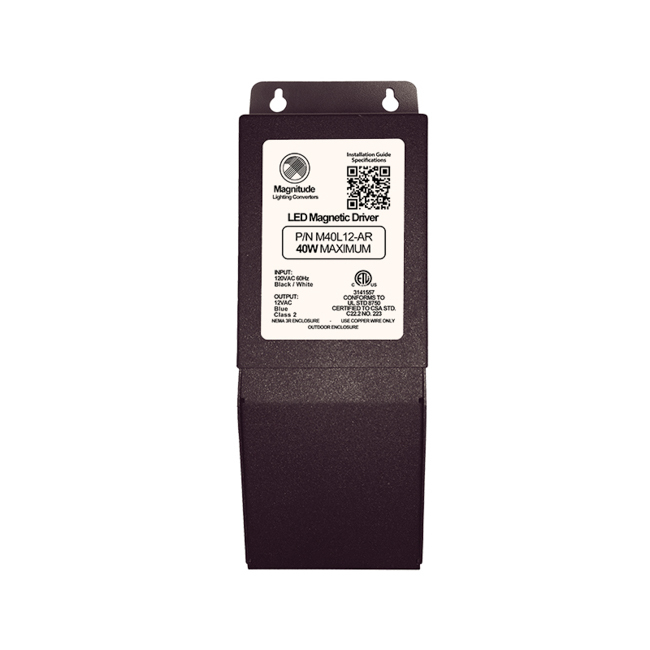 The transformer is encased in a coated metal box that includes 2 knock-outs, one on each side, to enable easy installation that complies with electrical code requirements. Wiring compartment with 2 knock-outs for clean and easy installation. Dimensions 5.6 x 2 x 2.14 in.